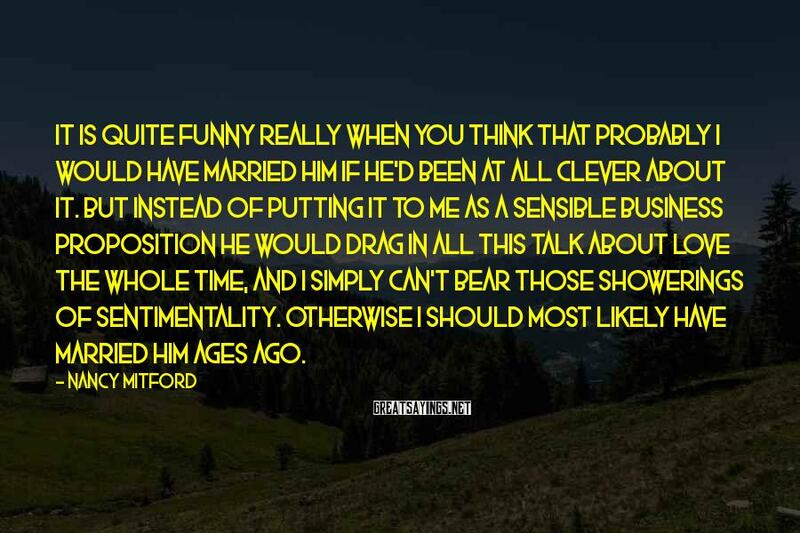 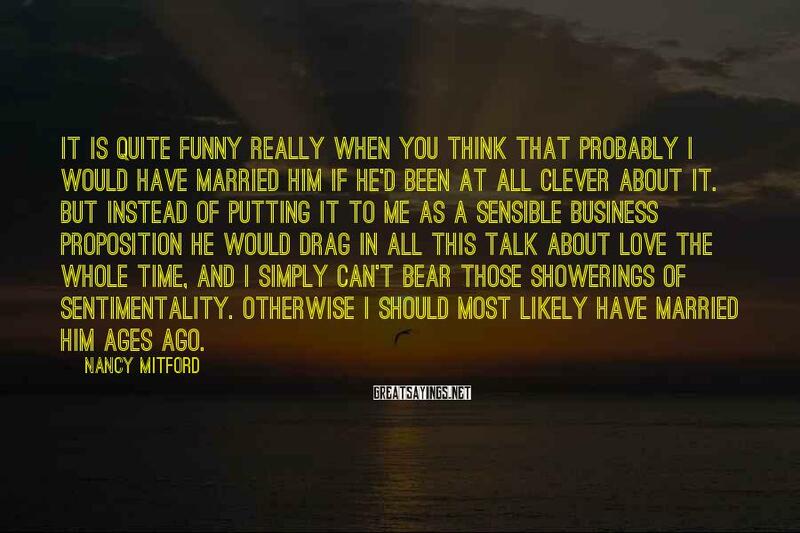 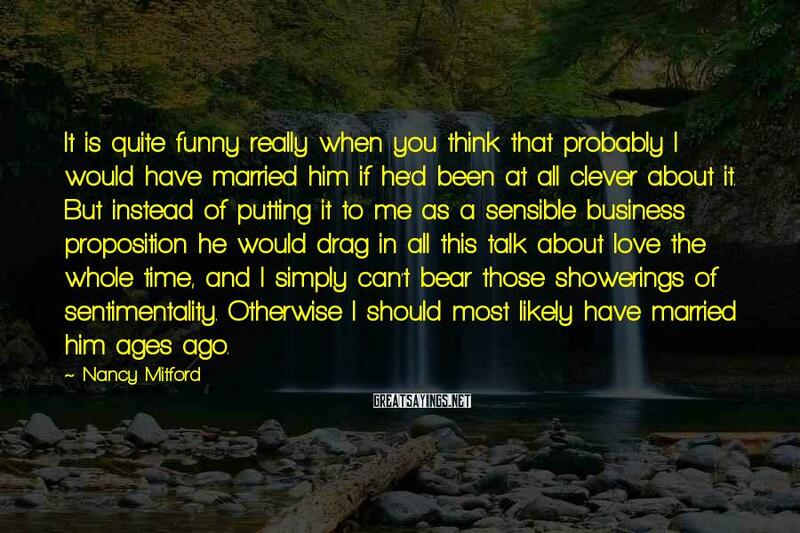 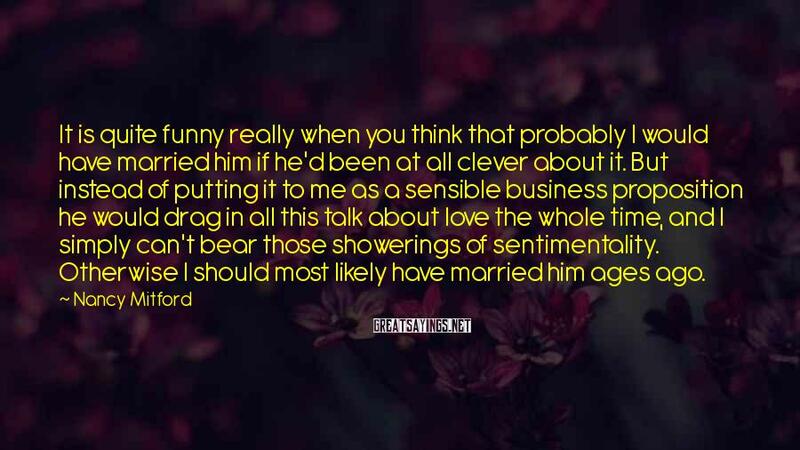 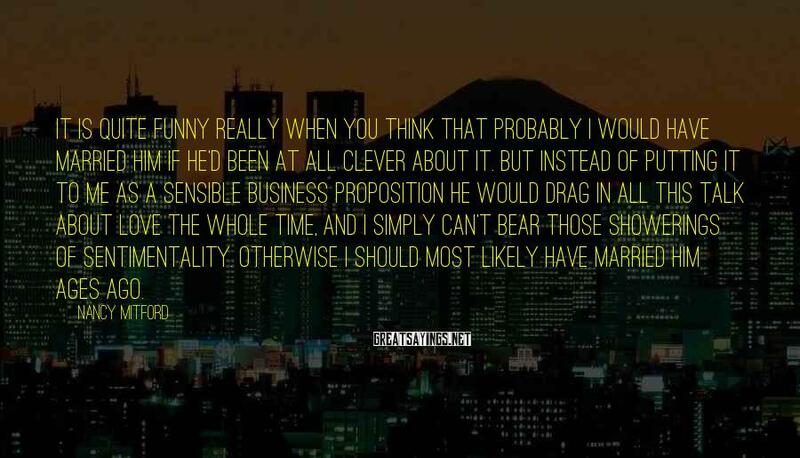 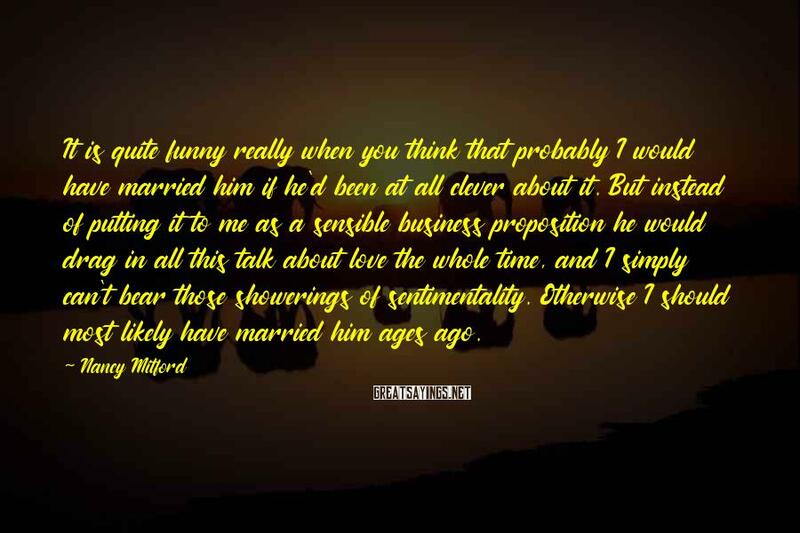 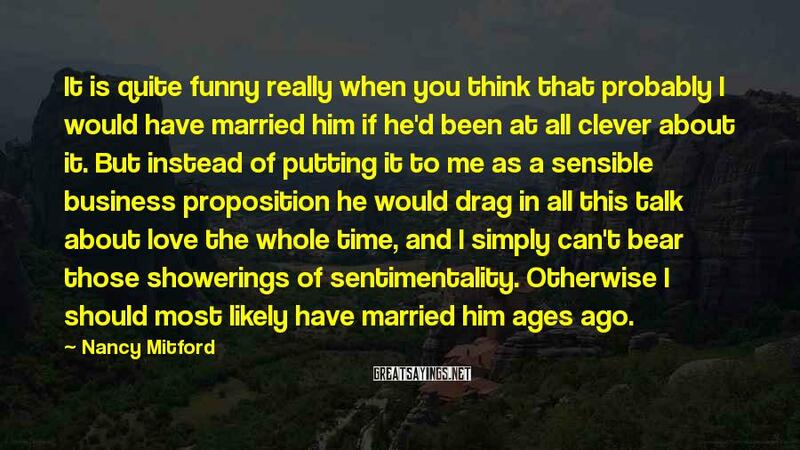 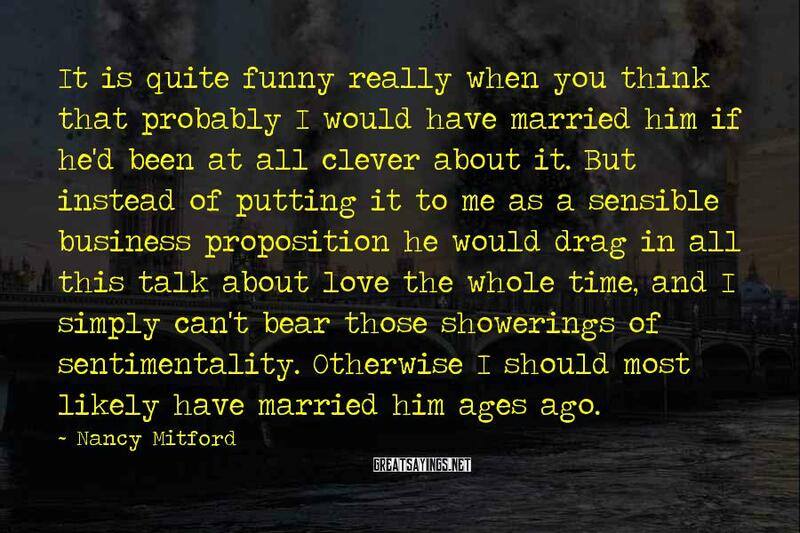 It Is Quite Funny Really When You Think That Probably I Would Have Married Him If He'd Been At All Clever About It. 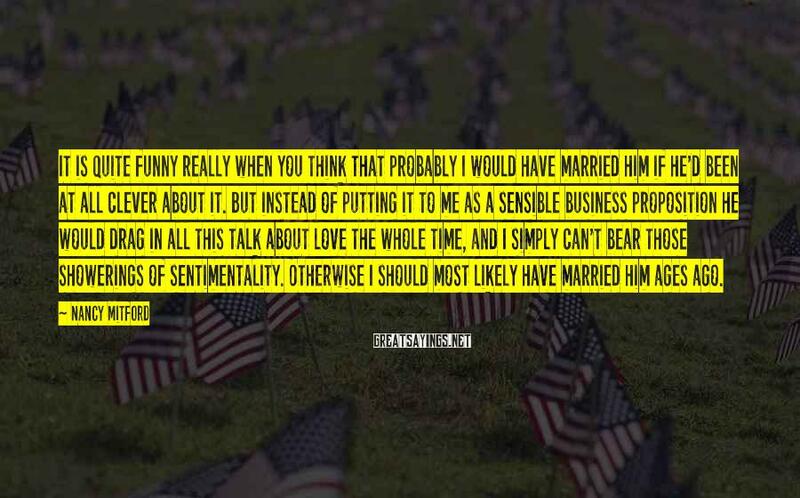 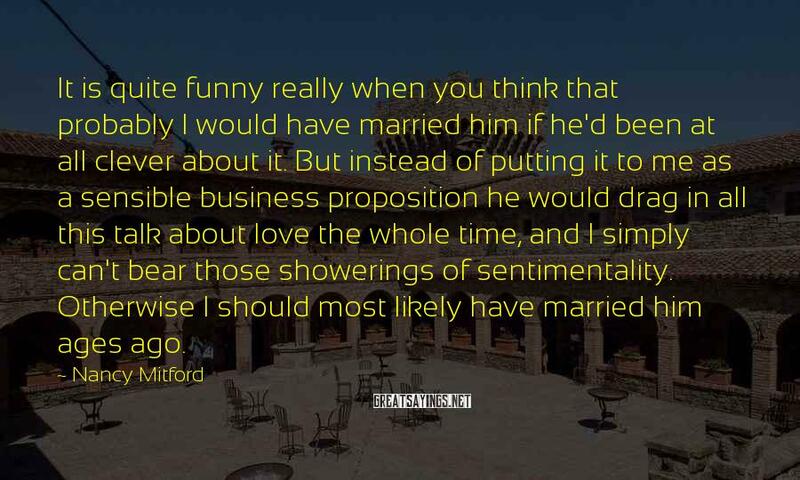 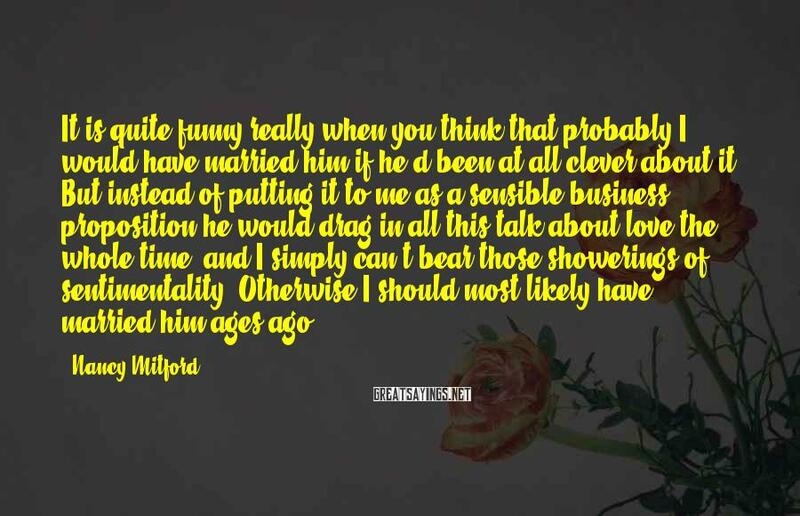 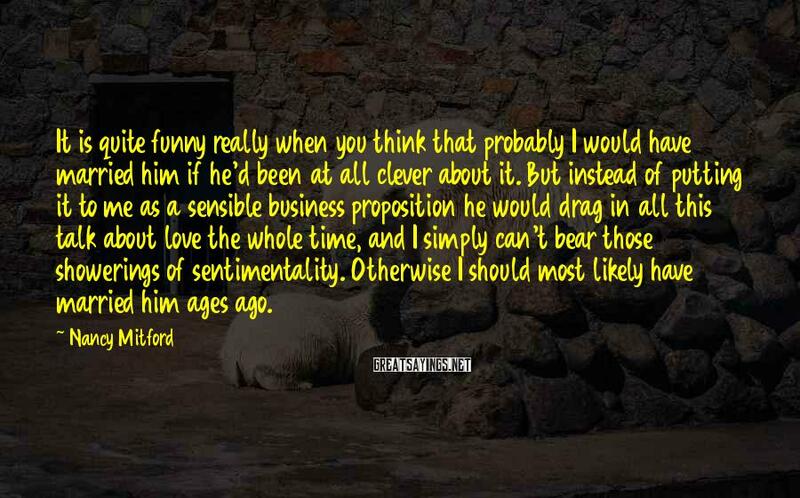 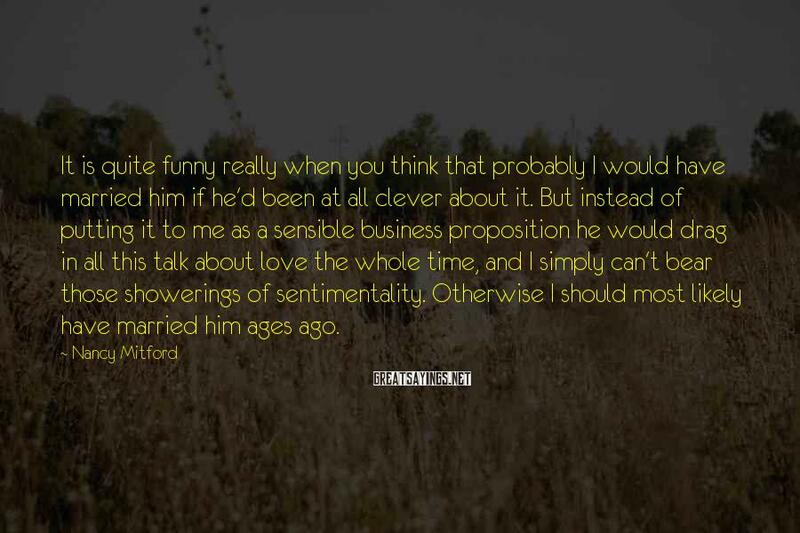 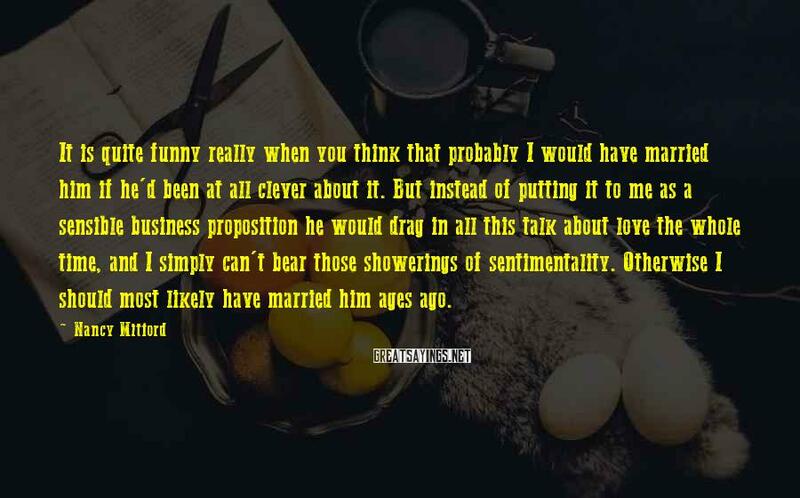 But Instead Of Putting It To Me As A Sensible Business Proposition He Would Drag In All This Talk About Love The Whole Time, And I Simply Can't Bear Those Showerings Of Sentimentality. 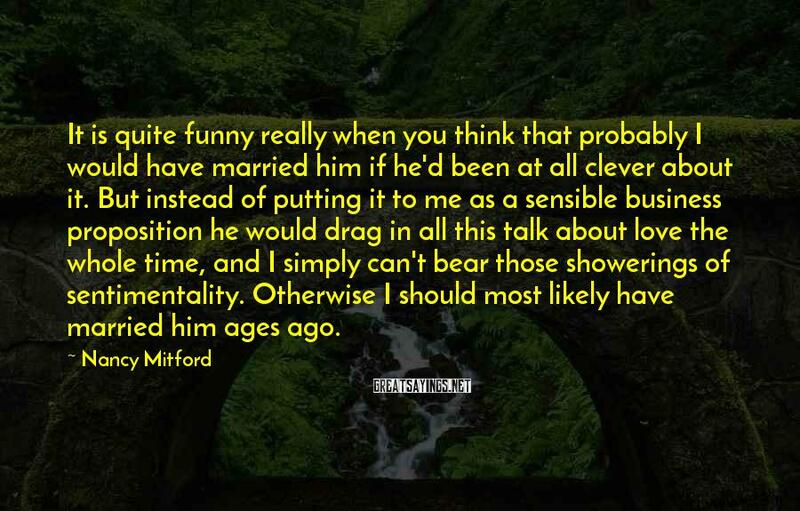 Otherwise I Should Most Likely Have Married Him Ages Ago.